Who are the Sisters of Charity of New York? 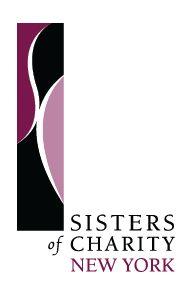 The Sisters of Charity of New York is a community of Roman Catholic women religious who share in the ongoing mission of Jesus by responding to the signs of the times in the spirit of St Vincent de Paul and St. Elizabeth Ann Seton, by revealing God’s love in our lives and in our varied ministries with and for all in need, especially those living in poverty. There are 224 Sisters of Charity of New York and 130 Associates; six sisters and thirty-one Associates live in Guatemala. The Sisters of Charity of St. Joseph, the first congregation of women religious in the United States, was founded by St. Elizabeth Ann Seton, a native New Yorker, in Emmitsburg, MD in 1809. In 1817, three Sisters were sent to New York City by the foundress to help care for orphaned children, a growing problem in the city at that time. In 1846 the Sisters established a new independent community in New York. In our 200-year history, the Congregation opened and/or staffed 185 schools, 28 hospitals, 23 childcare institutions, and other ministries to care for people on the margins of society. St. Elizabeth Ann Seton was canonized in 1975, the first American-born person to be elevated to a position of sainthood. What are the ministries of the Sisters of Charity today? The Sisters of Charity sponsor ministries as a concrete expression of our mission to reveal God’s love to all in need. The missions of these faith-based organizations extend the mission of charity by the quality of their programs, their fiscal stability and their organizational culture. The Congregation works in partnership to promote their common values.